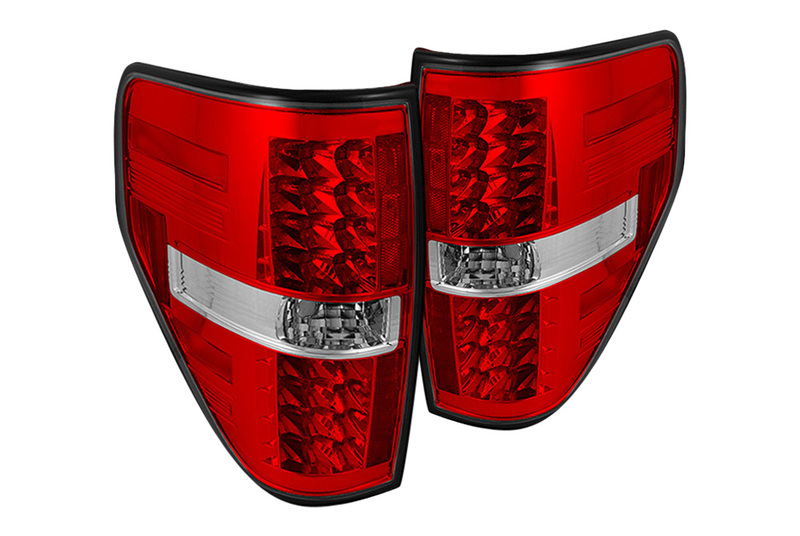 Just relesed brand new Spyder LED tail lights for your Ford F-150 - Ford F150 Forums - Ford F-Series Truck Community. Spyder manufacturing company as usual keep going strong. These guys know the real importance of the automotive lighting. As you probably already know, the Spyder manufacturing company offers a good lineup of tail lights in different colors and shapes. A few days ago, the manufacturer finally released LED tail lights in red-clear. This red-clear set for sure will be a great addition to their already existing collection of black, smoke, smoke-red, chrome and clear tail lights. These advanced LED tail lights are specifically designed to allow you see better and make your vehicle more conspicuous. Check out this great example of continuous work of the Spyder craftsman here. Follow the link and check all available tail lights for your Ford F-150 on our web-site here. Last edited by carid; 02-10-2015 at 09:27 AM.